A new tradition is emerging for me on the last night before we leave Japan. We usually try to get our gift buying done the last days we are on a trip so we don’t have to lug them around. There were a few sweets that we wanted to get and the only place open late (besides convenience stores) was Donki (Don Quijote). For those who have never been, Donki is somewhere in between a dollar store and Target - taking the best of both worlds. Last year, I bought an extra piece of luggage to carry back my whiskey and this time I got some mochi and Kit Kats. If you ever find yourself needing some random item, check out Donki. There's usually one in every major city. Our hotel was about a kilometer away from the store and it afforded me the opportunity to see Ginza at night. It was a beautiful, crisp, Friday night and many office workers were stumbling out of restaurants and bars, slightly tipsy. The streets were lit with the neon of Ginza and a lone saxophone player was performing. We’ll leave Japan with many happy memories, eager for the next trip back. As our trip was coming to an end, we spent the last day doing a bunch of shopping in and around Tokyo Station. The station itself is massive with shops and restaurants inside. You could spend a full day here and still not see everything. Once we completed our gift buying, it was time to eat and of course, we couldn't leave Japan without having some ramen. 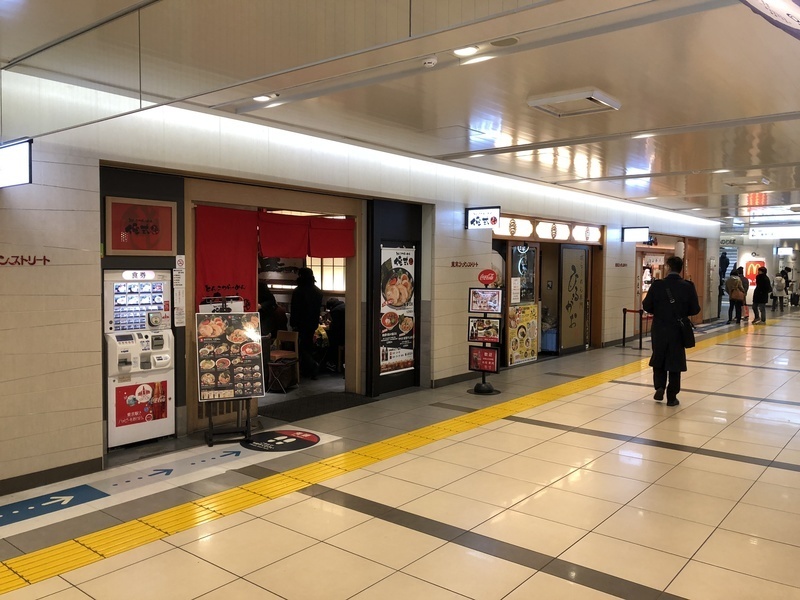 Luckily, there is Ramen Street inside Tokyo Station where 8 ramen shops are located. 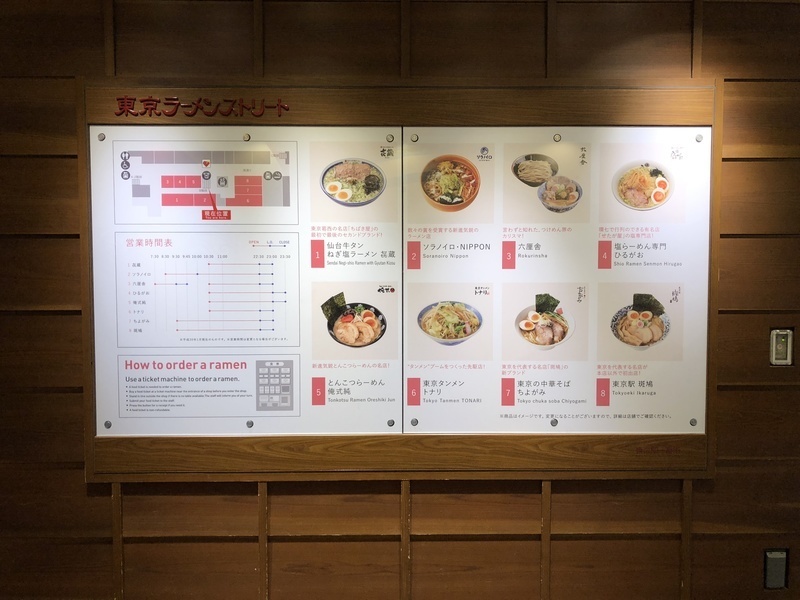 A sign at the entrance to Ramen Street shows you where each shop is and what style of ramen they serve. We wanted to get some good tonkotsu style ramen so decided on Oreshiki Jun. These shops are designed for fast service so you order outside at a vending machine, then hand your ticket over to the host who finds you a seat when one becomes available. Your food is then brought over and you're expected to eat very quickly and make room for the next person. Quite honestly, the whole process was fairly confusing and unless you can read Japanese it's hard to tell which ramen shop you're ordering from. Unfortunately for us, we ended up going into the wrong line and ordering from another ramen shop that wasn't quite up to par. We quickly ate but left feeling pretty unsatisfied. Undeterred, I eventually was able to find Oreshiki Jun and we were not disappointed. Great broth, amazing soft boiled eggs (Japan really does this well), melt in your mouth char siu, and noodles that were perfectly made/cooked. All was forgotten after I finished that bowl! 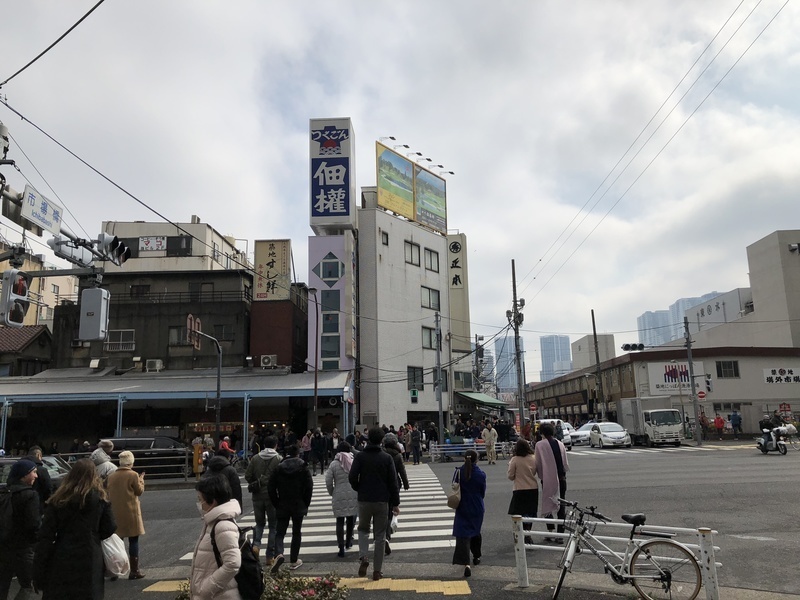 The iconic Tsukiji Fish Market, in its current from, will be closing. Though they keep pushing the date back, we wanted to make sure we got to see it one more time, just in case it changes the next time we return. We didn't tour the inner market this time but instead spent our time in the outer market checking out food stalls and buying some kitchen implements. A must visit is Onigiri-ya Murotoyo. Get the one with a perfectly soft-boiled egg inside which was a favorite of the wife's. Each piece was expertly made and the quality of the fish was top notch. It's no surprise given their proximity to probably the best fish market in the world. The chef was extremely friendly and gave us background on every piece of fish. It was a great experience in a very casual setting. 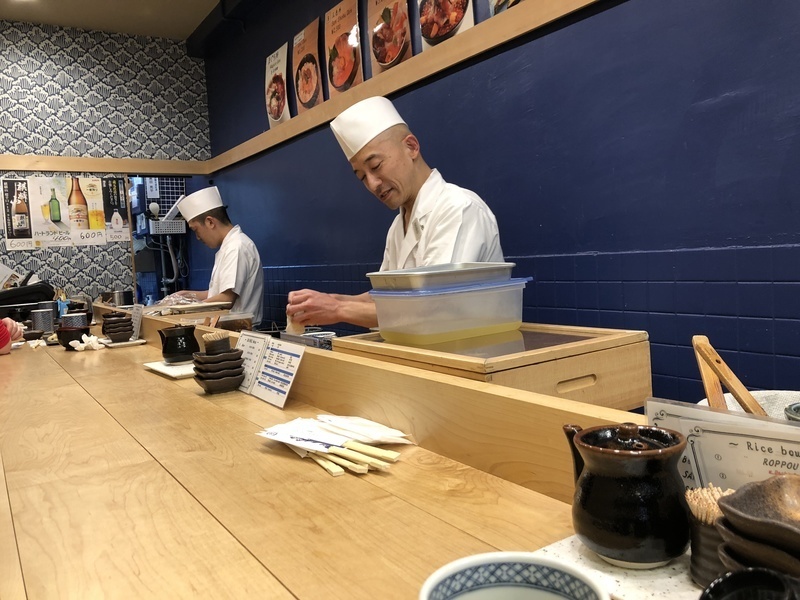 I'd put their nigiri up against any of the high end omakase restaurants back in San Francisco. 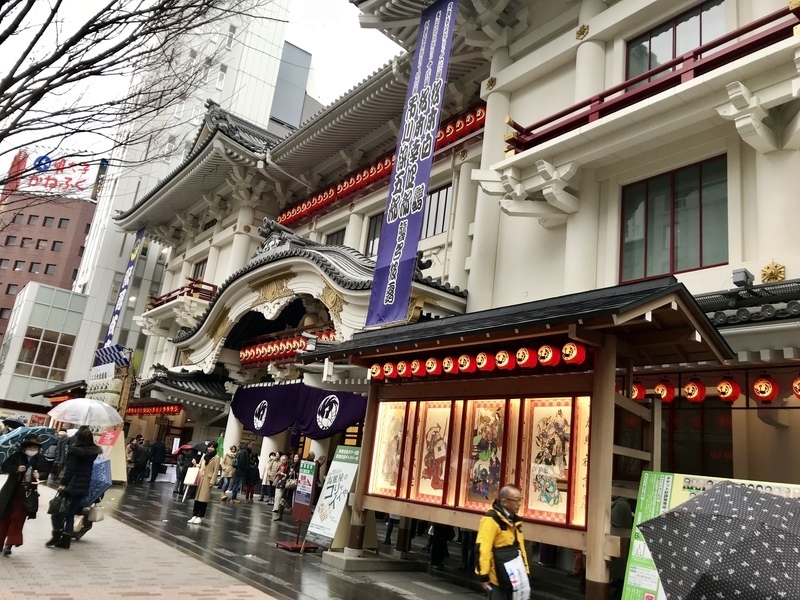 We fulfilled a bucket list item for the wife by watching Kabuki at the Kabukiza Theatre in Ginza. Was more interesting than I expected though a little long (almost 4 hours). 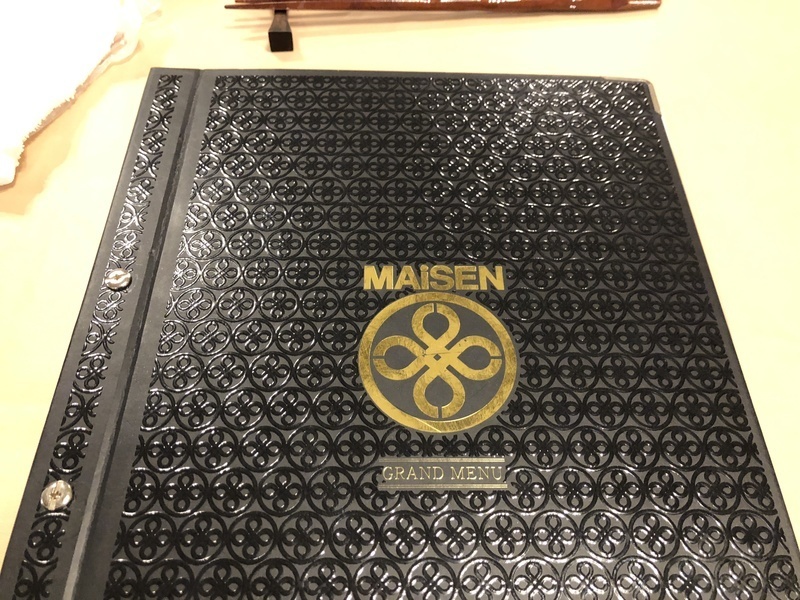 As a reward, we had dinner at Maisen Tonkotsu in Shibuya. Yet another Tokyo institution I had to have again. This time, I tried the Tokyo X Pork which I paired with a nice shochu made from soba. The cutlet was juicy and tender on the inside and perfectly crispy on the outside with no heavy greasiness associated with deep fried foods. There was even a special tonkatsu sauce specifically for the Tokyo X! A little thin for me but the taste was sweet and tangy with what I believe was grated apple mixed in. My favorite is still the thick tonkatsu sauce which I ate over the pork, cabbage, and rice! Will be dreaming of this tonkotsu until the next time we come to Tokyo. 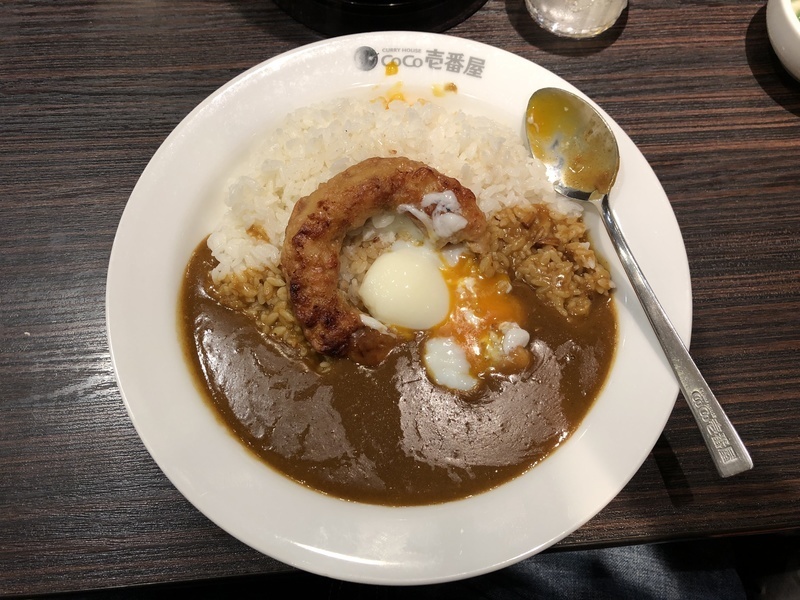 Back in Tokyo and wanted to grab a quick bite after getting off the train. We decided to hit some “fast food” and luckily there was a CoCo Ichibanya near our hotel. It should be said that Japanese chains are still high quality places. Even the convenience stores have great food. I ended up getting a chicken burger with soft boiled egg curry. Paired it with some okra and mountain yam. Finally had to order the beef croquette to complete the meal. So comforting on a cold night.